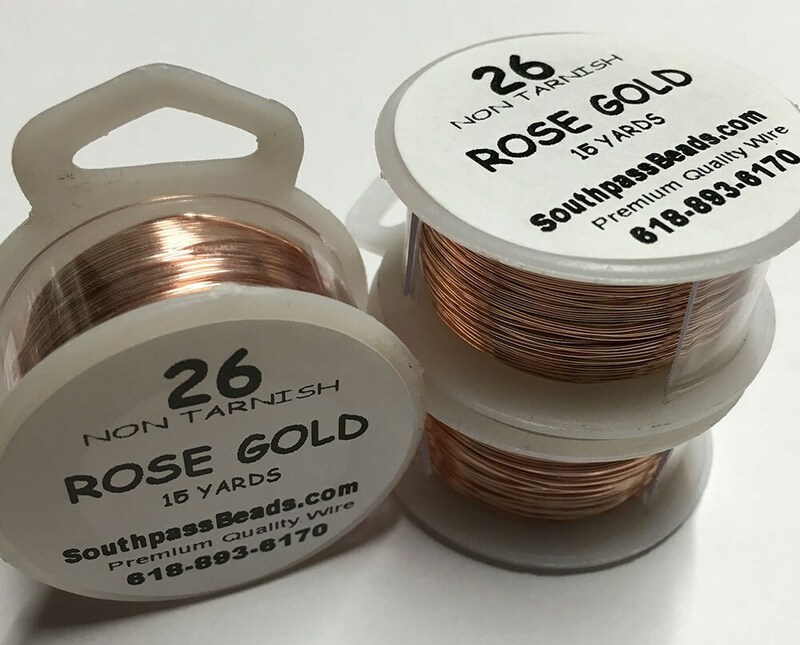 High quality Rose Gold plated copper non-tarnish wire, 26 gauge, 15 yards (45 feet). Made in USA. Professional quality wire for serious crafters! For all your jewelry, craft, beading, and other artistic projects! Perfect, exactly what I needed for my projects. Perfect for stringing the tiiiiinniiest pearls I’ve ever seen! Thank you! This wire is just what I was looking for! Fast shipping. Lovely rose gold wire! Rose gold items are still a little hard to find. I was excited to see that this seller had every gauge I was wanting!